On May 4, 1961, thirteen members of the Congress of Racial Equality (CORE) boarded busses in Washington, D.C. with plans to travel south to New Orleans. The mixed-race group consisting of seven African Americans and six whites planned to flagrantly violate local segregation laws in order to challenge the non-enforcement of the Supreme Court decisions Morgan v. Virginia (1946) and Boynton v. Virginia (1960). In both cases, the court had found that segregation in interstate public transportation and associated terminals was unconstitutional. The Riders hoped provoke a reaction that would raise awareness of the on-going problem. And boy, did they ever. As the Freedom Riders headed further south, they came under increasing attack. Several were arrested in the Carolinas and Mississippi for violating segregation laws. Their bus was attacked by multiple mobs in Alabama. By the time they reached Birmingham, Alabama, the Kennedy administration was urging them to stop. Instead, members of the Student Nonviolent Coordinating Committee (SNCC) set out on another bus, this time from Nashville, on May 17. Over the course of the summer, some 450 people from across the country would join the movement. One of those people was Patricia Bryant, a 20-year-old Elmiran and EFA graduate. 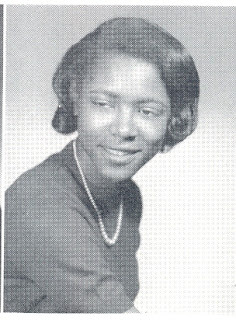 She’d just finished up her sophomore year studying social work at Central Ohio State College in Dayton, Ohio when she told her father she was going south to test segregation. On June 9th, she and four fellow CORE members took a train down the Illinois-Central Railroad to Jackson, Mississippi. Bryant was the only African American in her group. All five of them were arrested for breaching the peace after refusing to leave the whites-only waiting room at the station. Bryant and her friends were given the harshest sentence of any of the Freedom Riders to date at that point: a $200 and 4 months in jail. By that point, the city and county jails were filling up as Riders intentionally got themselves arrested and prisoners were being transferred to Mississippi State Penitentiary where they were subject to abuse. Isaac Bryant was understandably worried about his daughter’s safety and turned to the local NAACP for help and advice. The same day Patricia Bryant was arrested, the NAACP asked the U.S. District Court to intercede on the Freedom Riders’ behalf and protect them from arrest. The local NAACP could do little to help Bryant, but promised to back her if she attempted to appeal her conviction. They also planned a welcome home party to celebrate her scheduled release in October. Luckily for her, Patricia Bryant didn’t serve her full sentence. She was released on June 16th on $500 bond. A large crowd was on hand to greet her at the Chemung County Airport when she flew home after a brief stay with her mother in Long Island. In September, she transferred to Ithaca College where she received her degree in social work. No word on if the local NAACP ever threw her that party. The Freedom Rider movement continued to build throughout the summer even as the violence against the Riders escalated. By September, leaders from CORE and SNCC began planning a mass demonstration in Washington, but their plans were interrupted by a ruling from the Interstate Commerce Commission. Effective November 1, 1961, all interstate transportation lines and terminals would be forced to desegregate everywhere. Black passengers could sit where they wanted, eat at the station lunch counters, and use what had once been whites-only bathrooms. The alliances formed between Southern and Northern activists became the backbone of the later civil rights movement and many individual Riders went on to participate in subsequent campaigns. Thank God for the brave that went before us. Thank you Patricia Bryant-- the most important work to be done was done by you. The Chemung County Historical Society seeks to deepen its audiences’ understanding of the past and the role of history in our futures by collecting, preserving, and interpreting the history and material culture of Chemung County and the surrounding region. Picturing Postcards: the first Instagram?